Convert BMP to PDF Converting batch BMP files into multipage or single PDF files. 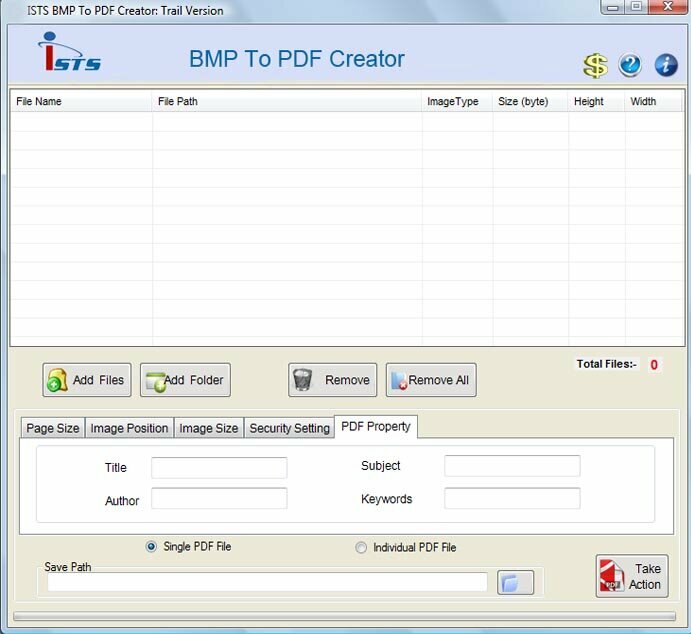 BMP to PDF Converter working as a virtual printer can convert BMP to PDF document by printing way.BMP2PDF Creator convert BMP to PDF with single click. * Change BMP to PDF Maker Friendly and self explaining step-by-step user\'s interface allows you to * convert BMP file into PDF document. * BMP to PDF Converter Software Compatible with all popular Windows OS like 98, NT, 2000, XP, Vista and Windows 7.